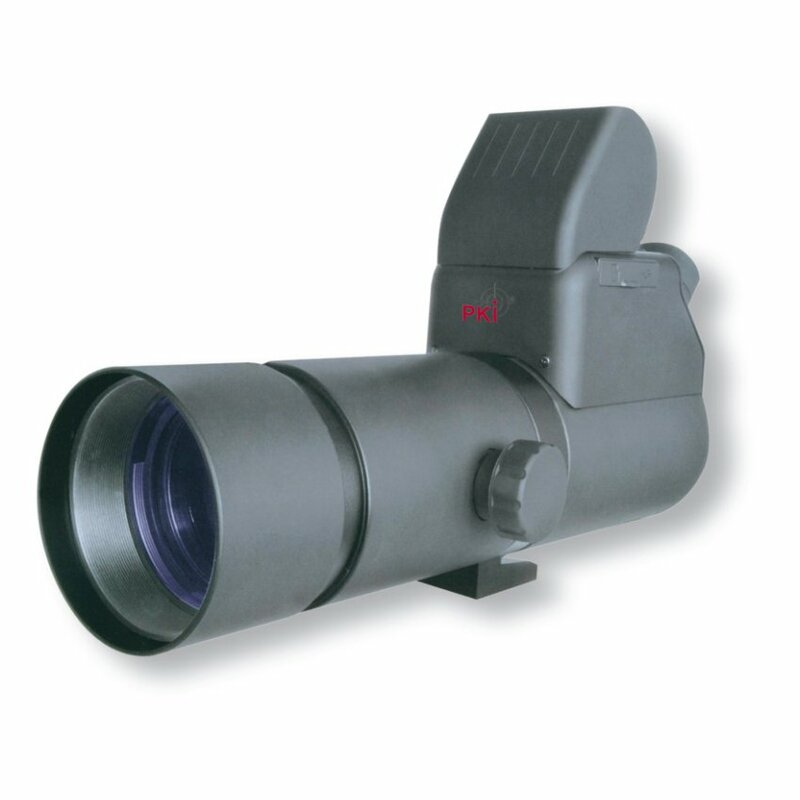 Besides traditional roof prism optics made of high-quality, repeatedly tempered BaK-4 glass, the PKI 5385 spotting scope also offers a 2″ LCD monitor. Extractable sunshade, spectacle wearer ocular and tripod thread are standard equipment. The integrated 3 megapixel camera allows to perform all observations optionally via the eyepiece or directly on the 2″ preview monitor. Simple, intuitively operated user menu offering numerous functions already known from conventional digital cameras. The images can be stored in the flash memory of the device (32 MB) or on an SD memory card. With a USB cable, the device can be directly connected to a computer and the stored data can be transferred there. Mains-independent power is supplied via standard AA batteries. An adjustable automatic switchoff saves current if the device is not used for a longer period. The convenient carrying case allows to use the most important functions without having to remove the case completely. So, the parts for objective lens and eyepiece can be opened up using a zipper. Working almost regardless of the weather is thus possible. As a result of a near focus of only 4 meters, this spotting scope is not only designed for remote observation objects. The spotting scope can be mounted to all (camera) tripods with DIN threaded screw thanks to its standard integrated tripod thread.